The opinion polls may of course all be wrong. But if Scotland is to vote in favour of independence on 18 September then one would expect at least a few polls to put Yes ahead at some point before polling day. And no poll would seem more likely to record a Yes lead than Panelbase, who have consistently produced the most optimistic polling numbers for the Yes side and which last month (in a poll for the Yes campaign itself) put Yes on the cusp of being ahead with a 48% vote (once the Don’t Knows are excluded). But any hopes that Yes might have had that, following its last poll, Panelbase would next time around finally record a breakthrough for the pro-independence side are dashed in the company’s poll for today’s Sunday Times. It puts Yes on 41% and No on 48%. Once the Don’t Knows are excluded Yes are on 46%, down two points on their tally in the Yes campaign’s own poll last month, but unchanged on their last poll for The Sunday Times in May. The 46% figure is exactly in line with the average Yes vote in all the seven previous Panelbase polls conducted so far this year. Just in case anyone is under the misapprehension that this picture of little or no change implies that the Commonwealth Games have failed to produce any immediate boost in Yes support, we should note that the interviewing for this poll finished last Tuesday, the day before the opening ceremony in which many aspects of Scottish culture and history were celebrated. We have yet to see whether the Games, which of course still have a week to run, will prove beneficial to the Yes side as many have speculated they will be. In the meantime the Yes tally in our poll of polls edges back up to 43%, which is more or less where it has been now since the middle of May. The picture of an electorate that is proving difficult to move in either direction is affirmed by the pattern of responses to two further questions on people’s perceptions of the financial consequences of independence. Both questions were last asked by Panelbase in November of last year, shortly before the Scottish Government unveiled its independence White Paper. And in both cases, people’s expectations are much the same now as they were then. First, 34% now think that Scotland as a whole would be financially better off under independence, while 42% believe it would be worse off. The former figure is up just two points on November of last year, and the latter down two points. Second, just 14% believe that they personally would be £500 a year better off under independence, down just a point on the previous reading, while as many as 28% feel they would be that much a year worse off, up two. This largely unchanging picture of course means that the balance of people’s expectations of independence continues to be tipped in a negative direction. The Yes side have long invested considerable faith in the finding that a majority of people would support independence if they felt they would be £500 a year better off; unfortunately for them it appears that they are failing to make their case that this indeed is what would happen. Meanwhile, people’s perceptions of the financial consequences of independence for Scotland as a whole continue to distinguish sharply between those inclined to vote Yes and those who say they will vote No. No less than 77% of Yes supporters are optimistic about the financial consequences of independence while 82% of No supporters are pessimistic. It is thus difficult to see how the Yes side can win the referendum unless it can persuade voters of the financial case for independence in the few weeks that are left. In the meantime, today’s poll confirms the finding of the ICM poll a fortnight ago that in the absence of any polls putting the Yes side ahead, most voters expect a majority No vote in September. As many as 55% reckon that No will win, while only 28% believe that Yes will do so – though in both cases most are only prepared to say that this is what they think is ‘fairly likely’ to happen rather than ‘very likely’ to do so. As ICM also found, people’s expectations are coloured by what they would like to happen, but even so only 56% of Yes voters feel that their side will win while no less than 80% of No voters believe that Scotland will vote to stay in the Union. At least we are not now going to have to wait much longer before we learn who is right. 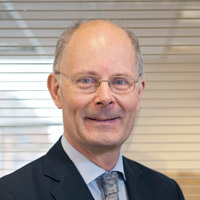 John Curtice is Professor of Politics at Strathclyde University, Research Consultant to ScotCen, and Chief Commentator on the What Scotland Thinks website. On a scale of 1 to 10, how likely is it that you would vote in a referendum on Scottish independence?